Why Choose All-Season Tires Over Other Types? The right set of tires makes the difference between a highly- performing vehicle and one that’s frustrating (or even dangerous) to drive. Moreover, a well-selected set of all-season tires keeps you covered regardless of weather changes or road conditions. So, the importance of reliable wheels goes beyond performance, especially if you’re usually taking long drives across the country. Bad weather and low-maintained roads put your safety and the overall functionality of the vehicle at risk. But why choose an all-season product? 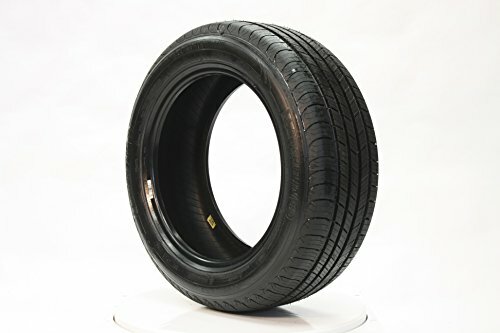 First, the price is more affordable than with other types of tires. Second, they deliver an unbeatable set of features. For instance, all-season products provide improved traction and handling in almost all circumstances (we’ll discuss the exceptions as well). They’re also more reliable in the rain or difficult weather conditions, quieter, and last longer (more details in the article). But, before we dive into features, let’s have a look at the top five best choices that will help you put any driving worries aside. 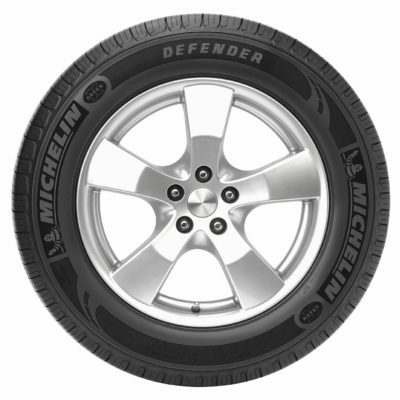 If you want design and reliability in one product, then Michelin is the brand to choose! They are well-known for the quality of products and going the extra mile to make their tires look sleek and elegant. As the name says, the Pilot Sports series is designed to be used on high-performance sedans and high-end sports cars because they perform beautifully in high-speed situations. They have the best UTGQ rating possible (500 AA A), providing high-end traction on concrete and asphalt. The aggressive asymmetric tread pattern is perfect for improved control at high speeds and better lateral grip. Also cornering pressure is evenly spread due to the variable contact patch design. As a result, you’ll take every sharp turn and tight curve with a large smile on your face! In terms of weather conditions, Michelin Pilot Sports tires have improved gripping power in wet weather due to the wide circumferential grooves and 3D sipes (which also help prevent hydroplaning). For summer, the tires are designed with protection against high temperatures and dry road grip as part of the Ultra High-Performance summertime handling characteristics. Moreover, the Helio-plus tread compound makes them safe to use in light snow conditions or slush. 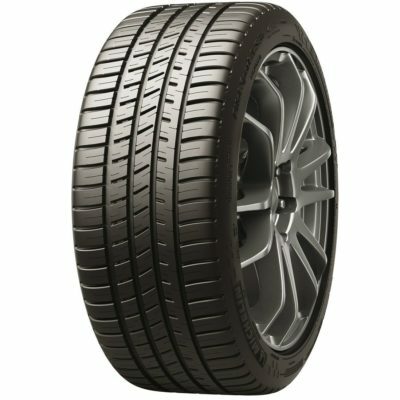 Finally, the tires are durable, going at 760 revolutions per mile to provide the vehicle with stability and maintain a long life. They’re also fitted with high-density steel belts to prevent any early treadwear. On the other side, you should know they get a bit noisy after a while and there may be some decrease in ride quality on bumpy, unpaved roads. A little ice or snow won't slow you down, thanks to advanced Helio+ Technology that's built to stick even in the cold. Plus, hidden Biting Edges grab loose snow for fast starts and stops. 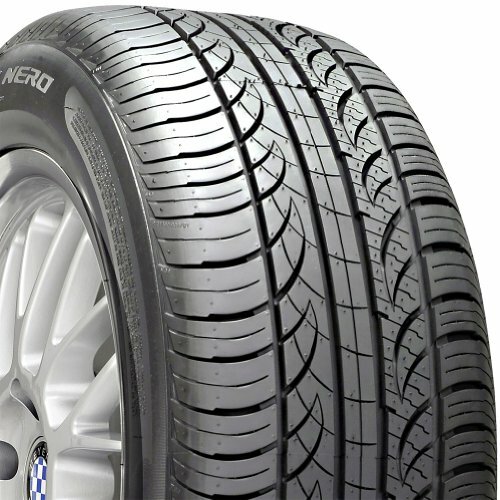 Perfect for those summer trips and designed to fight wet weather (UTQG of 400 AA A), the Pirelli P Zero Nero tires are made to take your sporty coupe or sedan as far and as fast as possible! The pattern has variable angle grooves (both longitudinal and lateral) that provide a higher mechanical grip for increased stability on the road. Also, the unique pattern combination and silica-based synthesis provide an enhanced grip during acceleration and grip on dry roads. Besides the fact that they are silent (due to sound-absorbing foam inner lining), the P Zero Nero tires are magnificent in wet conditions and keep the risk of aquaplaning to a minimum even when cornering. This is also due to the unique pattern and ingenious play between the shoulder sipes circumferential and lateral channels. They are also durable, due to the high-quality materials, the steel twin belt, and the polyester cord body that covers the inner structure. As a result, they have a lifetime tread warranty of 45,000 miles, which is a nice feature, considering the fact that there’s no special manufacturer warranty. Now, while the all-season compound keeps you safe in both dry and wet weather, these tires are not recommended in snow conditions (even light ones)! 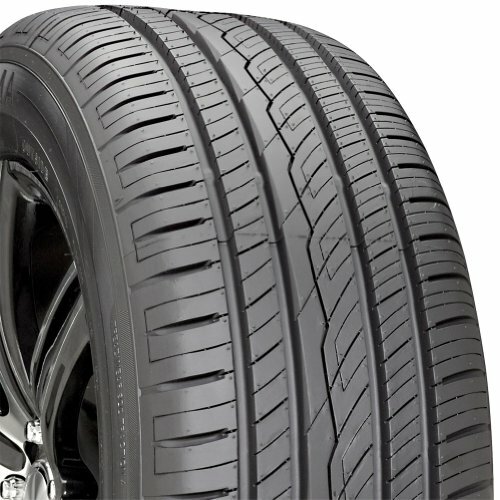 Designed with vehicle safety in mind, these tires are perfect for family cars and minivans, which is why they’re extremely popular on the market. Michelin’s Breakthrough IntelliSipe technology provides exceptional grip, tread block rigidity, and wear life while the MaxTouch construction is ideal for optimal contact with the road when braking, cornering or accelerating. Also, since the tire is harder, they respond well to sudden steering movements and braking. Not to mention that you’ll be saving on fuel consumption due to lower rolling resistance (a more rigid tread block reduces starting tread depth)! The asymmetric tread pattern is specially created to reduce the risk of hydroplaning to the minimum and the silica-based compound makes them perfect for all-season wear (although they’re not so great on light snow or slush). To see just how serious they are about this product, Michelin offers 90,000 miles of tread warranty and 1-year uniformity warranty. However, you should know they’ll get noisier after the first 20,000 miles and the comfort inside the vehicle may be slightly affected by the hardness of the tires. 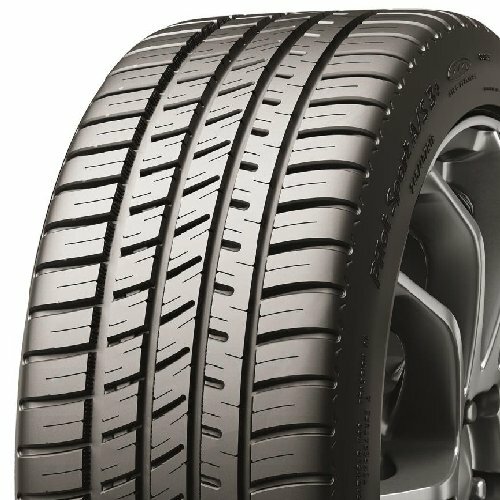 MaxTouch Construction combined with the interlocking action of Michelin's Breakthrough IntelliSipe technology delivers impressively long wear life by providing exceptional tread block rigidity while optimizing the tire's contact with the road during acceleration, braking and cornering. Exceptional grip provided by IntelliSipe Technology maximizes the number of sipes within the tire, which allows you to brake confidently when you need to most for greater peace of mind in stressful driving situations. The interlocking action of IntelliSipes creates a more rigid tread block, which allows for a reduced starting tread depth leading to lower rolling resistance so you can save fuel without sacrificing safety or longevity. These are the affordable solution when you can’t afford high-end tires, but still want to get the features. And Yokohama is one of those producers that managed to create affordable models with high-end safety features without sacrificing too much on the level of comfort. 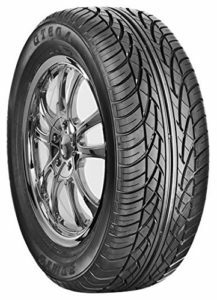 For instance, the AVID Ascend Radial tires are ideal for a sedan or a coupe and they provide high-end traction and help improve fuel consumption for up to 2MPG. They may not look very sporty, but due to the TriBLEND all-season compound, the tires adapt well to all sorts of weather conditions (even light snow)! 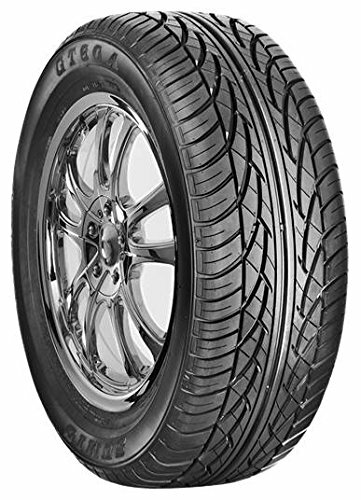 With a 740 AA UTQG rating and a maximum load capacity of 1074 pounds, the Yokohama AVID design is durable despite its small appearance (the rim width is only 6 inches). Moreover, the asymmetrical tread pattern allows for water to be evacuated quickly and provides maximum grip even on a wet road. Not to mention, the tires are equipped with Outside Adaptive Shoulder Blocks that reduce the noise to a minimum. So, when you put all these together with the great price, it looks like a fantastic deal. However, the PSI may reduce at a faster rate than with other designs, so you may have to check the pressure once a month. With a symmetrical 4-Rib pattern and advanced tread compounds, the Sumic GT-A tires provide superior stability and good performance on wet roads. This happens mostly due to the extended lateral grooves and circumferential center channel that allow the water to be evacuated without leading to hydroplaning. The tires are less noisy than some of the design on this list (due to tread block sipping), affordable, and behave well at slightly higher speeds. However, this model is best suited for lighter cars (mostly 90s models) and are mostly recommended for front wheel use. For the busy commuters and people with families who just don’t have the time or the energy to change tires according to weather conditions, all-season is the best choice. They are designed with safety and durability in mind, so you can rely on them when it’s sunny and when it’s pouring down like the flood. Of course, no tire will do miracles, so you still need to adjust your speed to traffic and road conditions. Another factor that makes all-season designs more durable is the longer treadwear. Because they are engineered to support an even wear pattern, you’ll burn through them at a slower rate. While gas may not be expensive, when your commute is long enough the cost adds up. Not to mention that the use of fossil fuels has been directly linked to air pollution and all sorts of environmental problems! That’s one of the reasons why producers are more focused on creating tires that help reduce fuel consumption. This requires a combination of factors, from the tread pattern to the type of materials used to make the tire. Still, the right set for your vehicle can lead to up to 20% savings in fuel, which is a nice thing for the environment and your wallet! All-season tires are in demand right now and producers had to adjust prices to keep up with the competition. As a result, the end-customer (aka you) gets to enjoy lower prices on a high-quality product! Do you know that annoying whirring sound that can make you crazy on long drives? It usually comes from tires that wear out at an uneven rate. Now, since all-season tires don’t have this problem, they’re also quieter than other designs (although that’s not always the case). Some drivers think that the term all-season includes winter and snow. While it may seem like this, it’s not true and it can get dangerous if you continue to support this idea! Some all-season tires (not all of them!) can be used in light snow and slush. The featured pattern and materials allow you to get home safely if the bad weather takes you by surprise. However, they are no good in heavy snow! For roads that haven’t been yet plowed, black ice patches, and any other winter conditions, make sure to install specialized winter tires! And, if you decide to make the change in your own garage, have a look at some of the best car lifts to use. As you can see from our reviews and probably as you know from your own experience, the tread patterns come up a lot when you’re selecting your tires. Unidirectional – as the name says, the pattern is designed to go only in one direction. This means they’ll wear down faster and need to be rotated more often to avoid uneven wear. Symmetrical – the pattern is symmetrical, so they can be rotated as needed. Also, this pattern is a lot more durable and provides even wear. Asymmetrical – these come in a combination of tread patterns, which allows them to provide excellent grip on both wet and dry surfaces. Mostly recommended for sports and high-performing cars, asymmetrical pattern tires handle high-speeds well. At the end of the day, the choice comes to the type of vehicle you own, the sort of performance you want, and personal preferences. All-season tires have a lot of good features, but there are some trade-offs as well. For instance, the models that provide precise steering and cornering have a stiff side wall, which translates into a noisy and bumpy ride (level of comfort is reduced with harder tires). Also, good traction and braking in wet conditions reduce the life of the treadwear. Moving on, high speed performance doesn’t get along with fuel economy, so drivers need to choose between the two. If you vote in favor of fuel economy, you should also be prepared to get lower cornering performance. None of these mean that the tires are low in quality; it’s just that some features give both advantages and disadvantages. It’s up to you to decide which matter the most and act accordingly.